This is a fascinating subject and a style of hypnosis I really enjoy, as the outcome is different for each person. Although there is no formal therapy during these sessions, many people find it very therapeutic, enlightening and empowering. I exhibit at mind, body and spirit events, during these events I am normally asked about past life regression. Around 45 mins, up to an hour can be quite usual. At events, I offer taster sessions around 30mins, at a low cost. 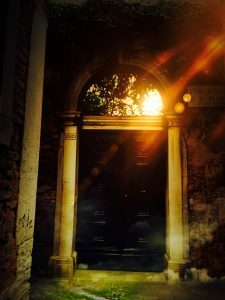 Every time I have guided someone into their past life, they have had an experience, if that was a genuine “past life” I cannot say, it may be imagined, a memory conjured by a book or film? Some people research the details afterwards. However, you may not have been Cleopatra or Julius Caesar! Can you have more than one “past life”? Yes, I have had experiences of many different lives with clients. You may remember the whole session; however, I always advise you to record or film it on their mobile phone, it’s so easy to do. You will then be able to listen/watch again. I also offer this service in my office at no extra cost. Clients can become male from female and vice-versa, so yes. You may not even be human. Amazing eh? Can my friend come along with me? Yes of course, past life regression is not like my therapeutic sessions which are confidential. I would encourage you to bring a friend and both enjoy the experience. Although I will still maintain your confidentiality. I also offer “past life parties” – get 3 or 4 friends round to your house, I will come and give each person the experience in turn, what a great way to spend a night together? If you come to my office 9am-5pm Monday to Friday £45. Past life parties £25 per person. 3 minimum.